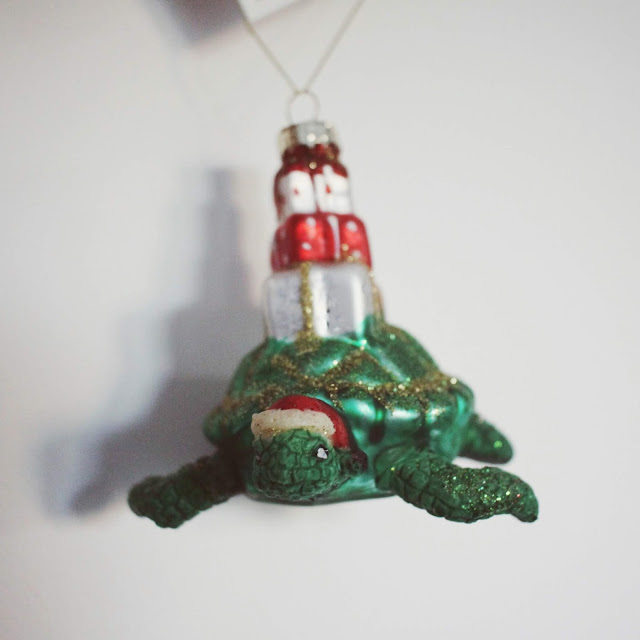 Yep, my first Christmas themed post. I can't resist! 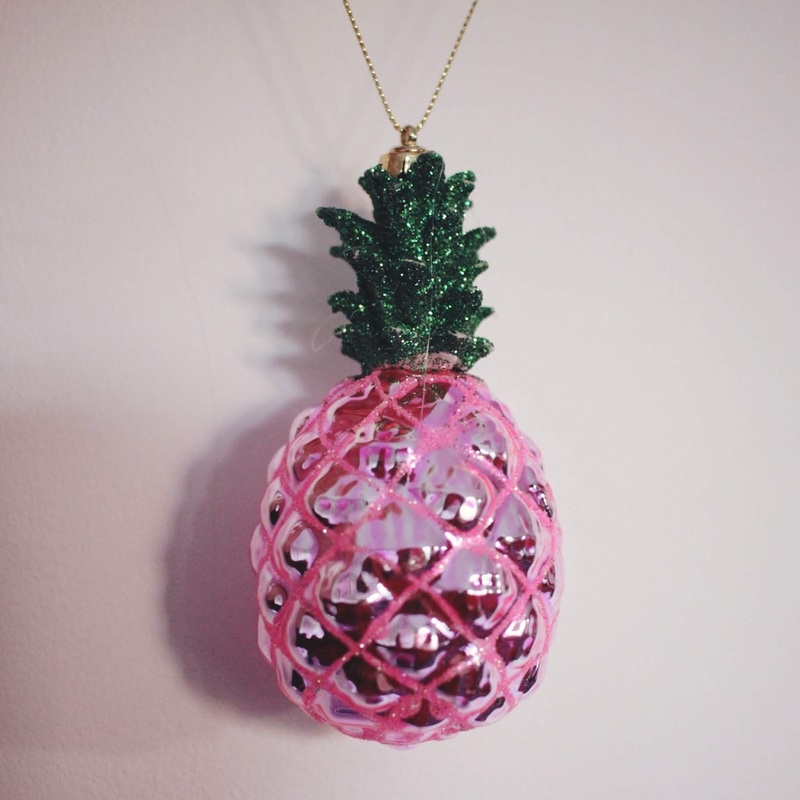 Every year I cannot help myself but buy a few new baubles for my Christmas tree, much to my husband's chagrin. The tackier and more ridiculous the better, I need them. 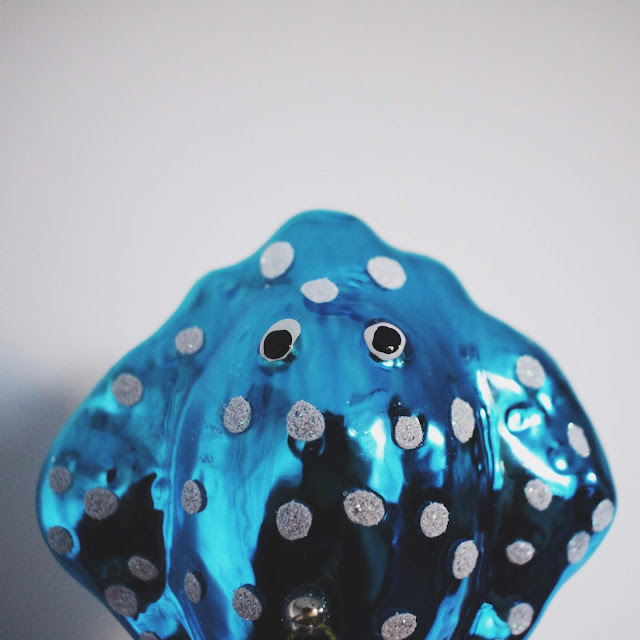 Asda is always my first stop because they always have unusual baubles and so far I've picked up 3 from them. (Sorry Stu, yes, I did say so far). 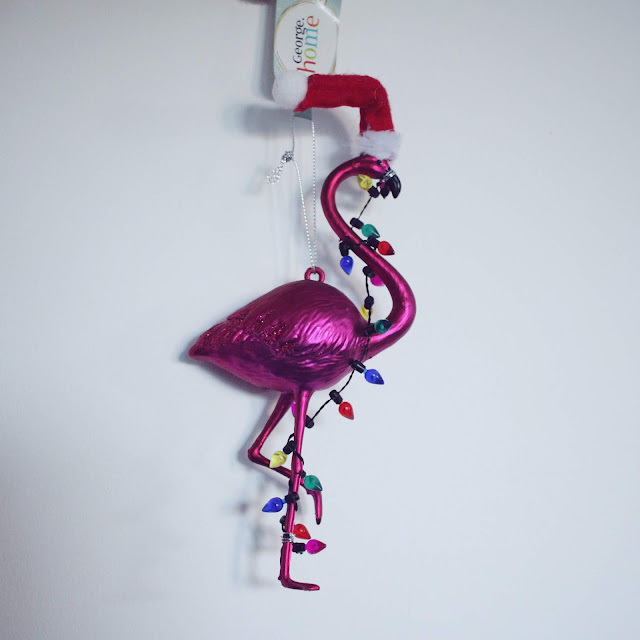 I mean flamingos are incredibly Christmassy right? 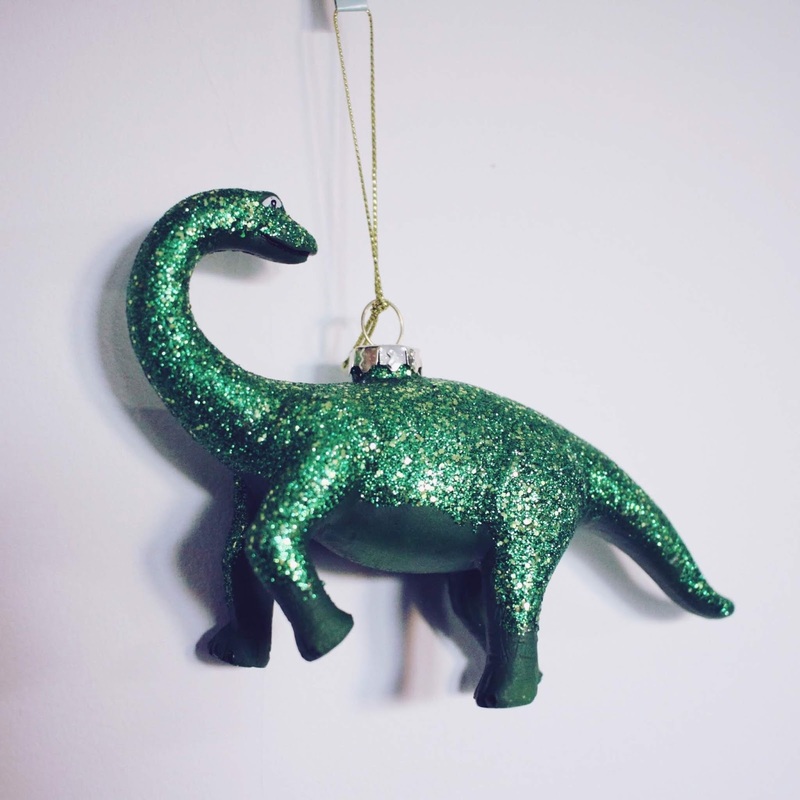 Who doesn't want a glittery dinosaur?! 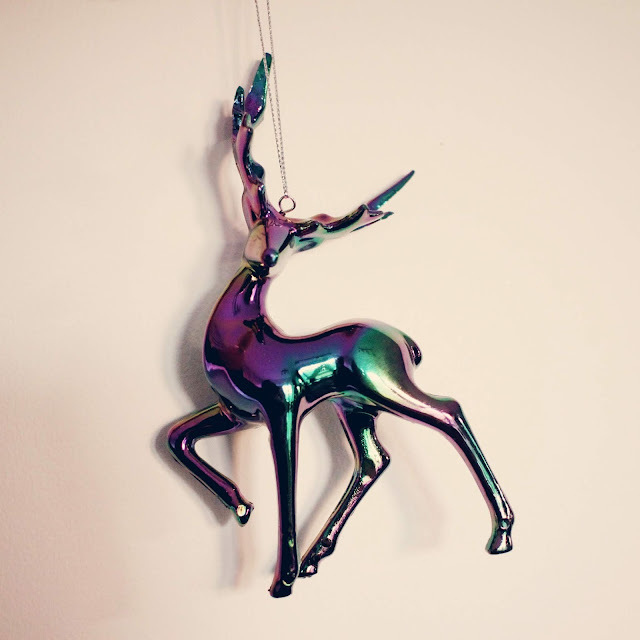 Our tree has a whole bunch of different stag themed baubles, so this iridescent stag had to come home with me. 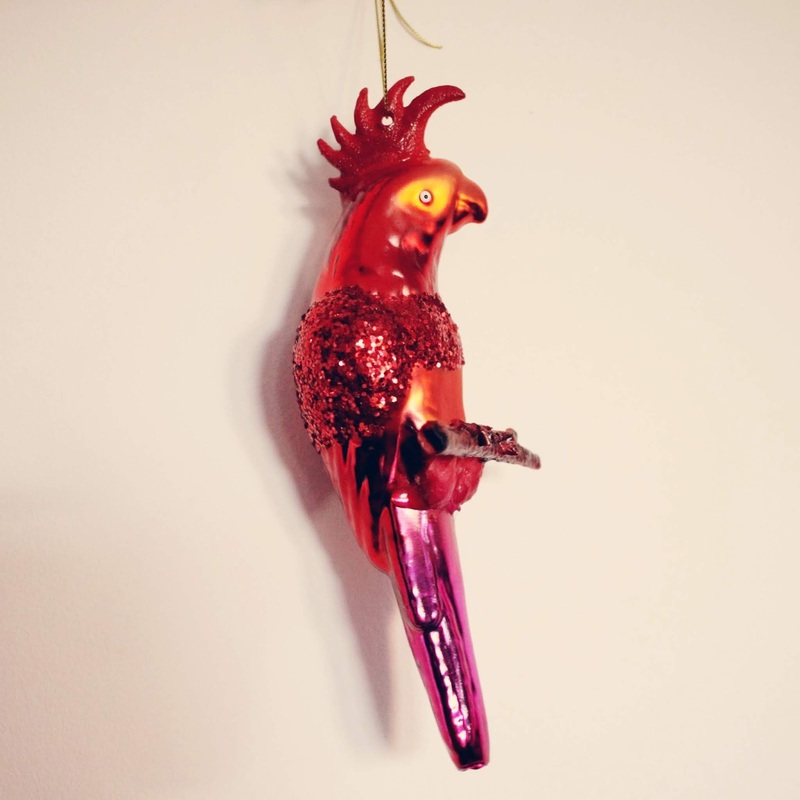 Tiger had a few different parrot and tropical bird baubles but I narrowed it down to just this one. 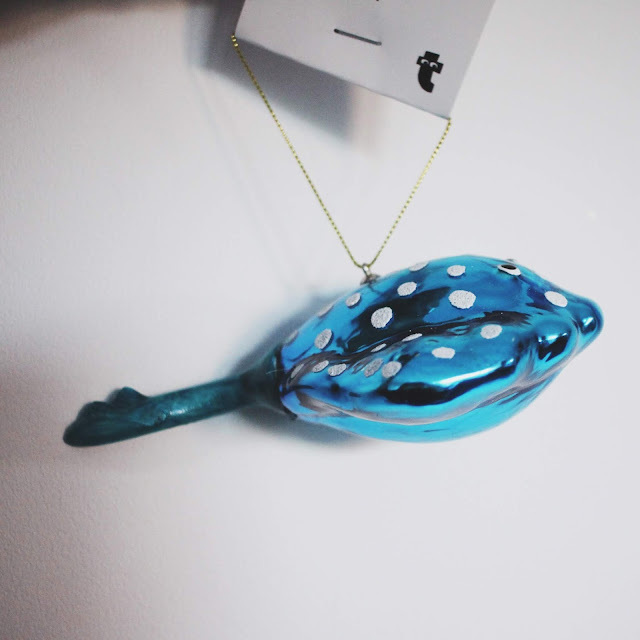 Probably one of my favourites, this sting ray is just so damn cute!! 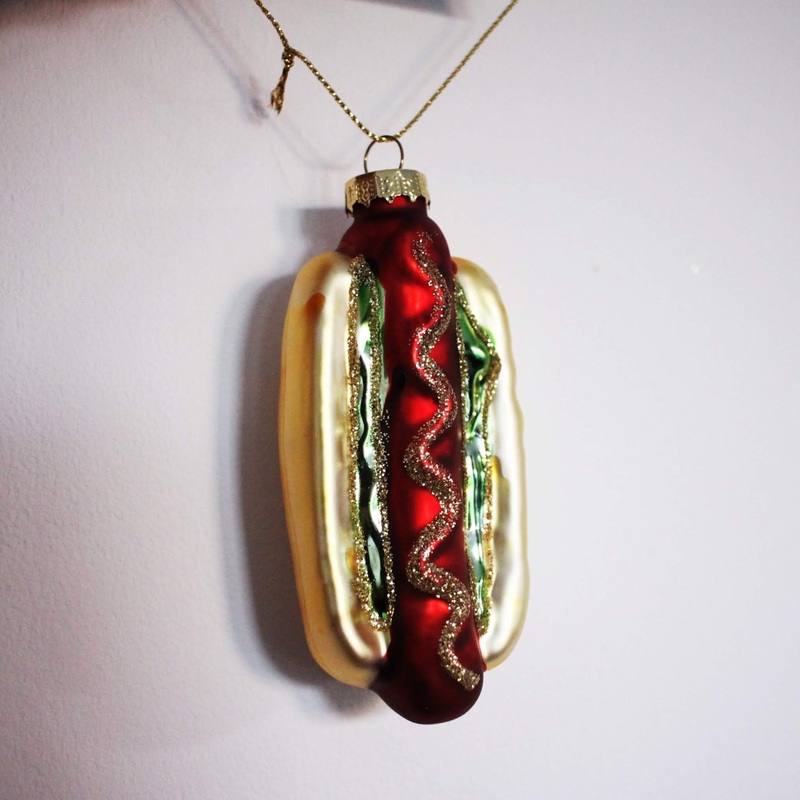 Obviously a Christmas hot dog. 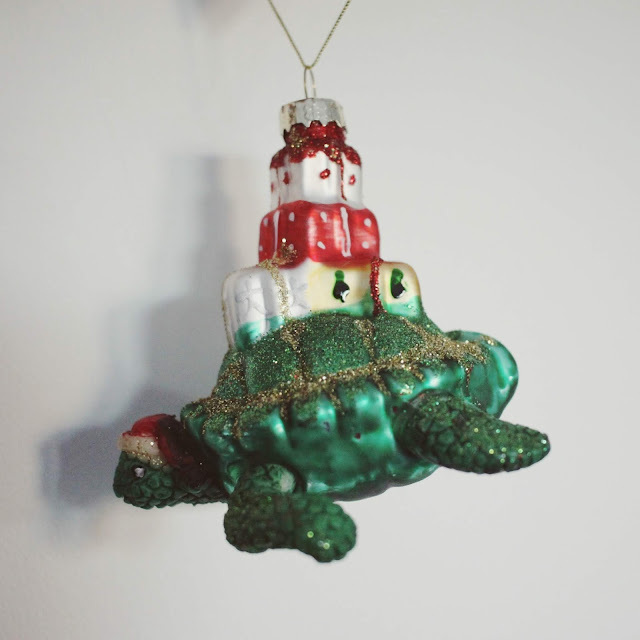 This turtle made me think of Terry Pratchet lore, but instead of carrying the earth on his back, this turtle is carrying out Christmas presents. .... 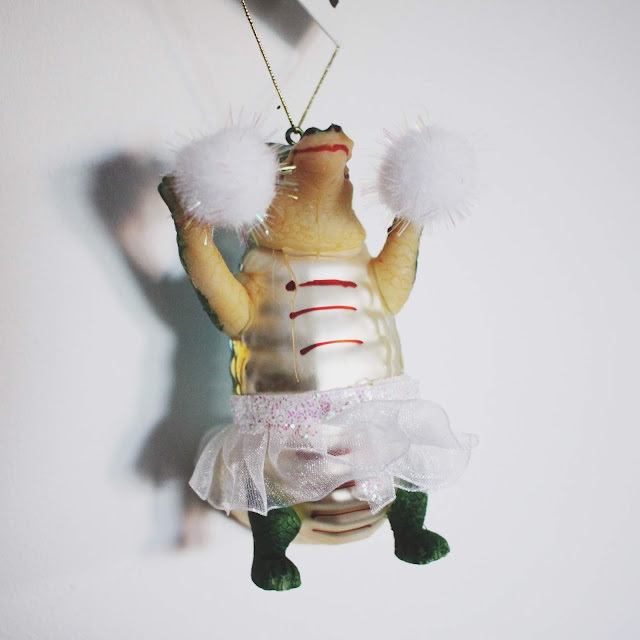 I have no reasonable explanation for why I needed a cheerleader alligator, other than to say that I just needed it. 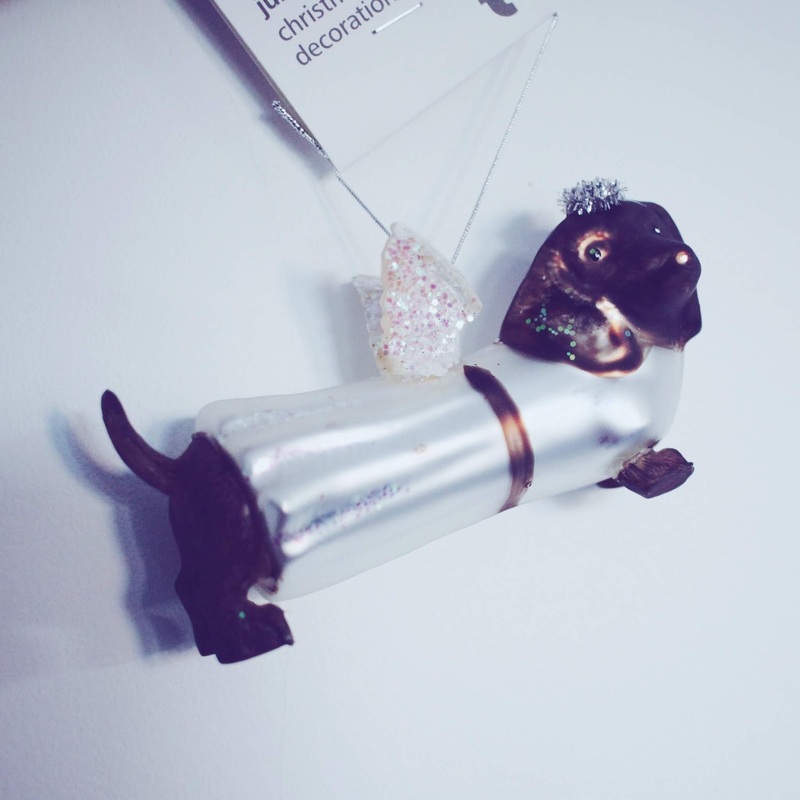 And finally, I got this one because my Mum convinced me to, an adorable little dachshund angel. Do you buy new Christmas decorations every year or is it just me that can't help it, like some sort of Christmas magpie?